Well, the title of this book is pretty self-explanatory. It's a book about serial killers. A pretty big book about a huge amount of them. I picked it up in a charity shop a long time ago now (you all know I'm partial to a bit of true crime) and it was about time I tackled it. Rodney Castleden, the author of this collection, is the son of a police detective who helped bring two serial killers to justice (John George Haigh- the Acid Bath Murderer- and Neville Heath) and compiled this chunky, 600-page reference book in memory of his father. 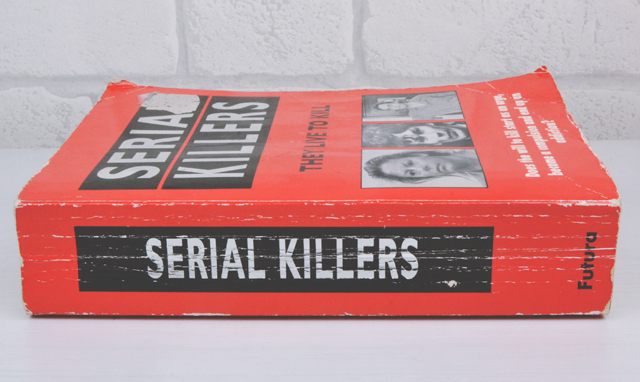 Serial Killers details the crimes of over 60 serial killers, presenting the cases in categories such as cannibals, sadists and doctors. 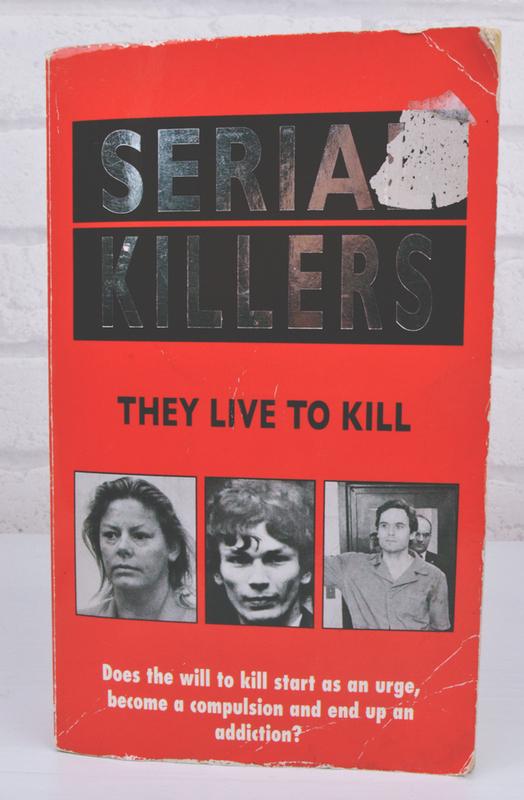 Of all the books I've read on serial killing, Serial Killers is unrivalled in terms of the sheer detail it covers. Unfortunately, a significant amount of this detail is incorrect or poorly-researched. There is also the issue of weak editing, meaning there are many spelling and typographical errors. Having said that, however, I did appreciate the categorising of the crimes, although some placements were a little confusing. For example, Fred and Rose West were placed with the sadists rather than the other team killers. I appreciate it's more difficult when there are overlaps but I definitely think they'd belong with the likes of the Moors Murders. 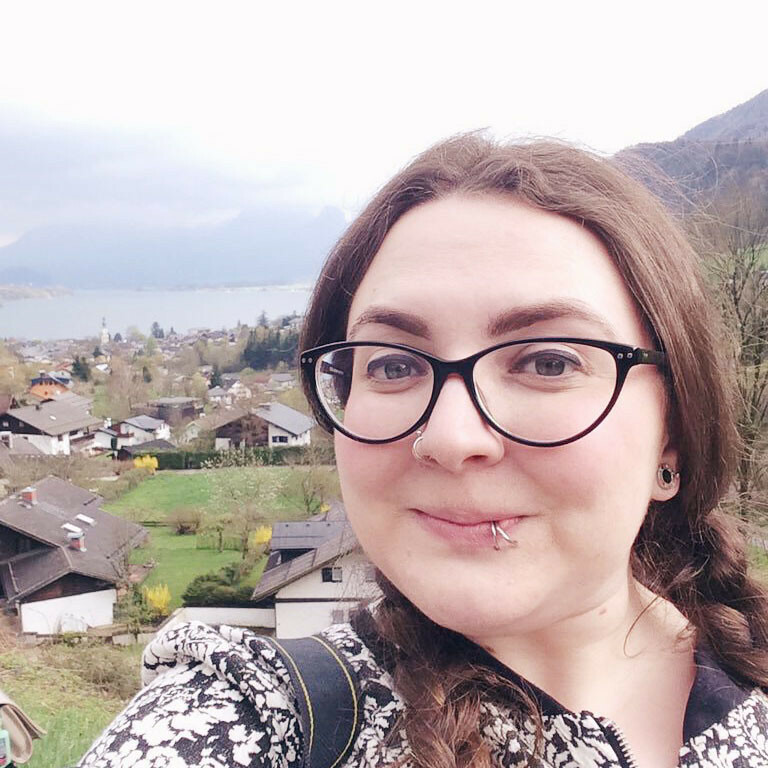 Another issue I had with the categories was that Castleden included monarchs, executioners and dictators who do not actually fall under the definition of serial killers. It was still interesting to read about their reigns and careers but a bit misleading to pad out a book on serial killing with these cases.Finally, I found the book to be quite poorly structured. There was no conclusive chapter. Instead Castleden had tacked some closing paragraphs onto the end of the final chapter, which was dedicated to the case of The Monster of Florence. In spite of these negative comments, I did find the book to be a really good starting place to get an overview of the most infamous serial killers throughout the centuries and as a springboard to research certain cases in more detail. Just don't rely on it for accuracy! Unfortunately, the poor structure and accuracy brings down what would otherwise be a very useful book. The sheer number of cases is worthwhile though, so I would rate it five out of ten. If you're interested in finding out about serial killers, I recommend David Wilson's History of Serial Killing. Although it doesn't cover international crimes, it's a very well-researched text.